Hello every one! 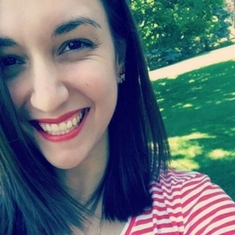 Hope you all are having a fantastic day! I cannot believe that the New Year is just days away! This year has flown by so quickly! I cannot get over it. Since the New Year is almost here, I thought it would be a great time to say goodbye to 2014 and hello to 2015 with a giveaway for my US followers! 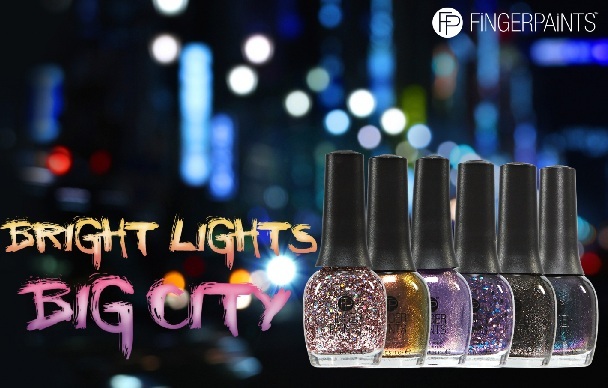 One lucky winner will receive the new FingerPaints Bright Lights and Big City Collection! This is a limited edition collection which contains three iridescent polishes (two being duochromes), two chunky glitters, and one microglitter! 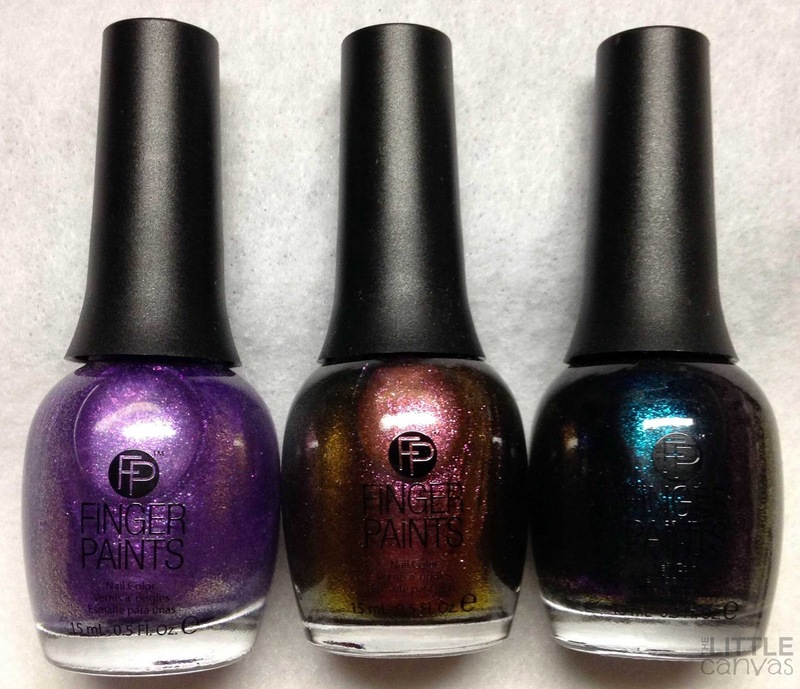 First up are the three "iridescent" polishes, two being duochromes! We have Paint the Town Purple, What A Night, and Urban Lights. 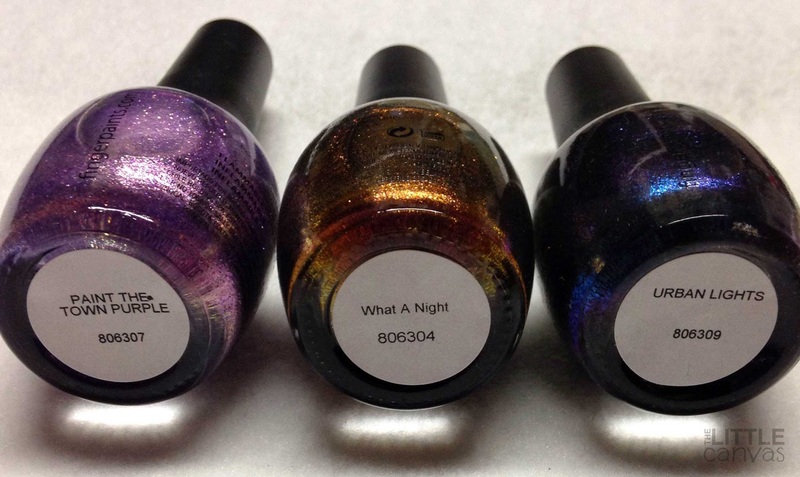 There is so much dimension in these polishes! I wish I could capture how gorgeous Urban Lights really is. Next p are the glitters of the collection! We have Dance Floor Diva, In The City Lookin Pretty, and Hey Mr. DJ!. 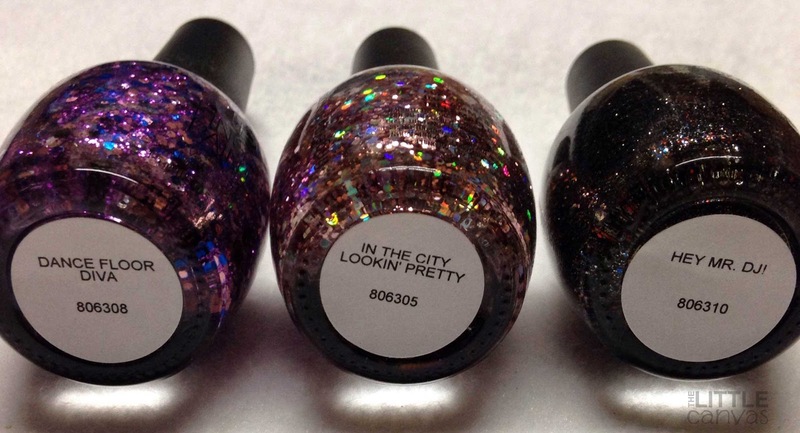 The first two are chunky glitters with micro glitters throughout and the last is a straight microglitter polish. Time to enter! Giveaway is open now until January 10th! That's two weeks to follow, tweet, share, and comment! You must be 18 and older and live in the United States to enter. NO GIVEAWAY ACCOUNTS!!! You will be disqualified if you enter using one of those. It isn't fair to everyone else and will be strictly enforced. It's been an awesome year and I cannot thank my followers enough! I can't wait to welcome 2015 with all you lovelies! Those are some awesome colors! I can't enter myself but best of luck to everyone else who can.